Kicking Off MODEX 2014 on St. Patrick’s Day | Hannibal Industries, Inc.
Hannibal Industries is well represented here in Atlanta at MODEX with a booth constructed entirely of TubeRackand Metalsistem material handling products. Hannibal Industries partner and inventor of the patent pending TubeRack product happens to be Irish, and he didn’t let anyone forget that the show kicked off on St. Patrick’s Day. If you see him at the pub tonight be sure to buy him a beer – he’s Irish! Kirby will be presenting “How Innovation in Rack Design Helps Lower Cost and Deliver Stronger, Longer-Lasting Material Handling Solutions,” at 10:30 a.m. on Tuesday, March 18, 2014 in Theater C at MODEX 2014. The Hannibal team will be there, and we invite you to join us for his presentation. Kirby will be discussing how today’s more highly-engineered designs can impact the entire material handling value chain by creating stronger, safer and more flexible systems, which reduces cost of repair and replacement, as well as reducing shipping costs that can be passed on to customers. 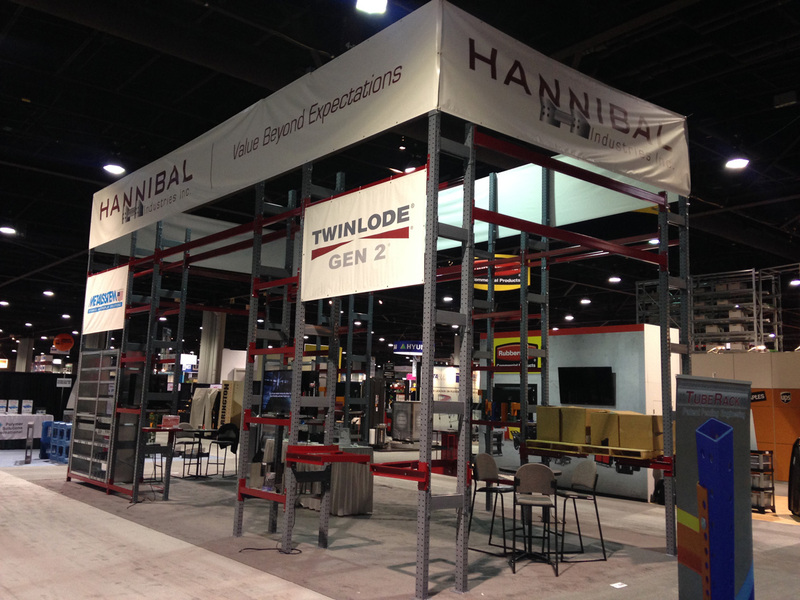 As you can see, the obvious themes for 2014’s Modex show are: Innovation, Design, and Efficiency – three elements that are key to Hannibal’s product line.